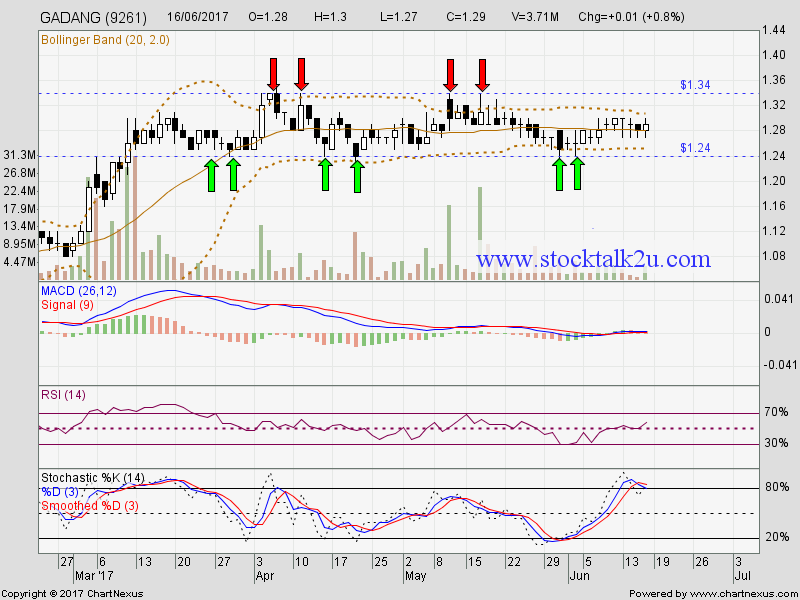 GADANG (9261) forming bolinger band squeeze. 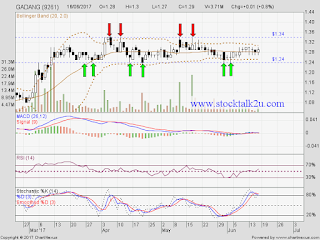 Immediate support @ RM1.24 level. Subsequent resistance @ RM1.34 level. Once break this resistance, no major resistance.